At the prestigious annual OBN Awards that celebrate the best of UK life sciences, two winners are located at The Oxford Science Park. 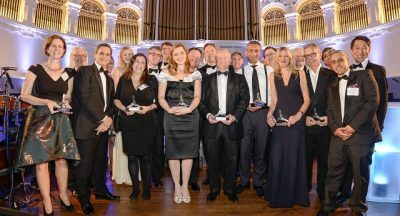 The award ceremony took place on Thursday 6 October 2016 at the Oxford Town Hall in front of a sold-out audience of more than 250 leaders from Biotech, Medtech and Investment companies. 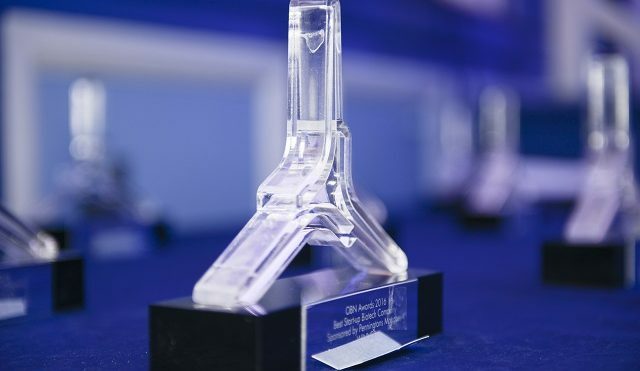 Huge congratulations go to all thirteen winners, in particular to Oxular based in The Magdalen Centre, and Oxford Nanopore Technologies, which is based in Edmund Cartwright House. Oxular won the Best Start-up Medtech Company Award for making great progress in their strategy to develop novel therapeutics and drug delivery systems to treat retinal disease. Oxford Nanopore Technologies won Best Established Medtech Company Award for developing the world’s first and only nanopore DNA sequencer.